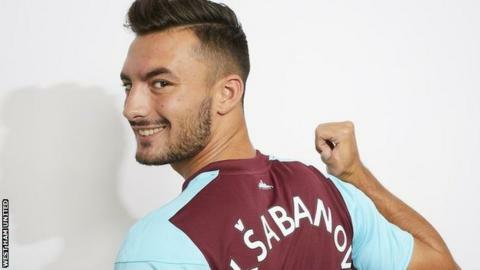 West Ham United have signed teenage attacking midfielder Sead Haksabanovic from Swedish club Halmstads BK for an undisclosed fee. The 18-year-old, who cost a reported £2.7m, has agreed a five-year contract. The Montenegro player made his debut in Sweden's top flight in April 2015 when aged just 15 - the second-youngest ever in that league - and has already made more than 70 first-team appearances. "I'm really happy to be here - it's a dream come true," he said.